Some might speculate that the blue threads have faded over time to turn white. I have looked closely at two of them and there did not appear to be any residual blue in the threads. Another counter argument to the faded theory is this: wouldn’t the other colors in the patch (red and brown) be faded as well? Does anyone have one of these in their collection? 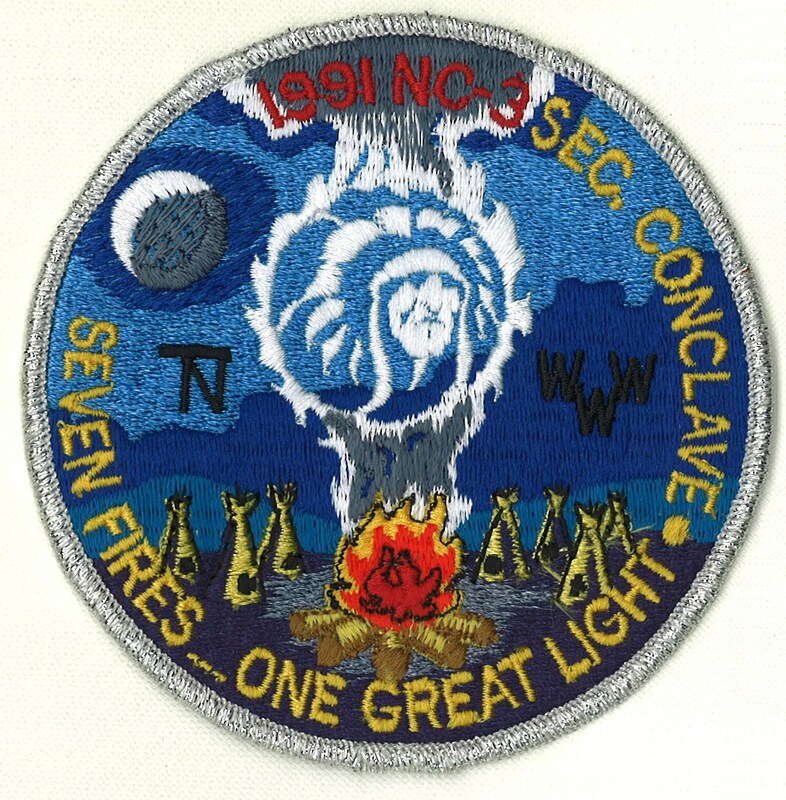 Was the patch factory out of blue thread that day? What should this be called? A1d? Any other theories on why the threads are white? UPDATE: Another instance of the white thread A1 has surfaced in a recent eBay auction. 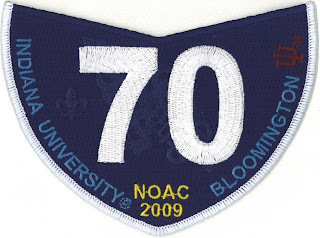 The National Order of the Arrow Conference (NOAC) will be held this summer at Indiana University on August 1-6. I’ve attended a few NOACs (92, 94, 98) and know that they are a lot of fun. In addition to copious opportunities to trade patches there are shows, training opportunities, and the chance to see a different part of the United States. Tamegonit Lodge, as it has done in the past, has issued a fundraiser set to help defray the transportation costs for the contingent. Here is a link to Heart of America Council’s webpage explaining the three issues for this year. Here is the brief description of the three sets: fundraiser (shown below), trader (1,000 made), mylar (200 made). The trader and mylar have a creative design. It is based on Indiana Jones and features a turkey dressed like Indie. The link above promises that the mylar version will have “special” features. 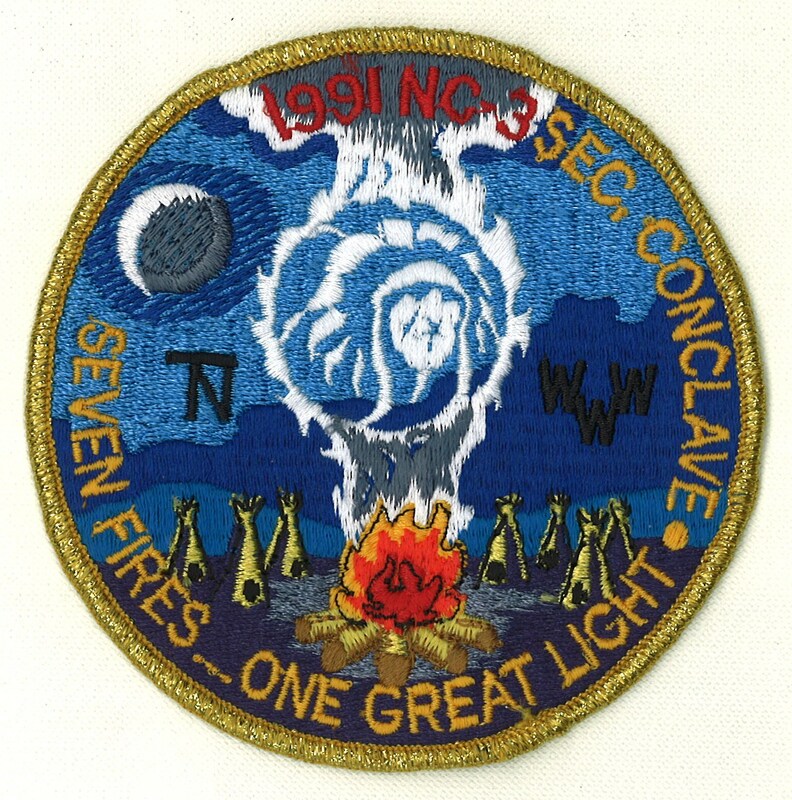 The previous NOAC mylar (2006) has battery-powered LEDs that flash. The mylar, as usual will be tough to get. If you are planning on going are interested in trading me one of your sets, I’ve got plenty of older issues to trade you. Contact me if you are interested. 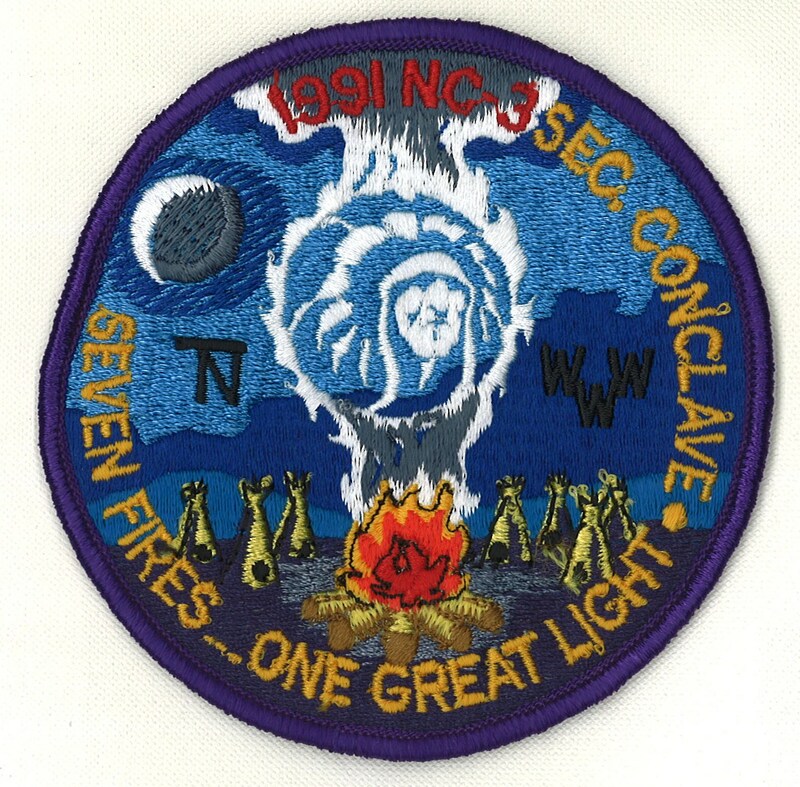 Again, here is the link for more information about the patches. It also has the contact information if you wish to support the lodge’s contingent. You should buy at least one to help the guys out. Up this week is a unique neckerchief from the Order of the Arrow Section 8-D conference held in 1956. 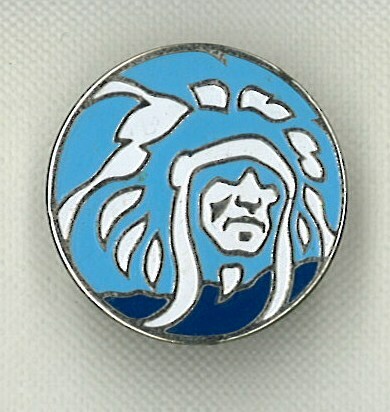 Most instances of this patch that I have seen are loose and not sewn to a neckerchief as shown here. The event was hosted by Tamegonit Lodge that year, but this is the only neckerchief I have seen. Please contact me if you have any information about this neckerchief, chief.